Origo joined hundreds of other creative professionals at the annual 2015 American Advertising Awards (the ADDYs), held at The Bluestone in downtown Columbus. 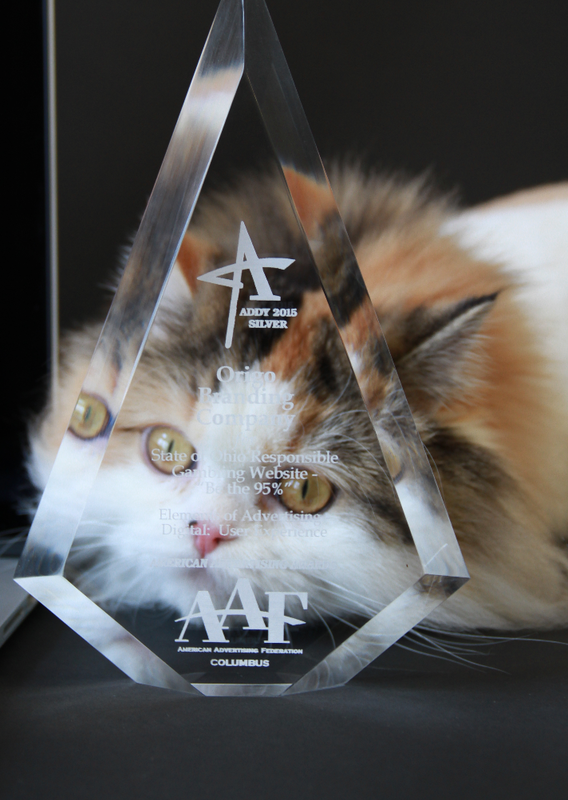 AAF Columbus is the local affiliate of the National American Advertising Federation and is one of the most influential and prestigious creative organizations in Central Ohio. 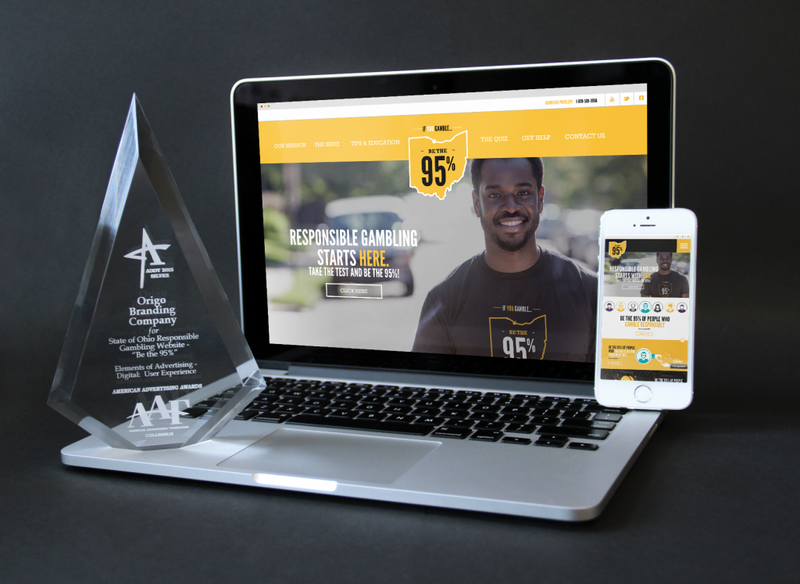 Among a pool of nearly 500 entries, Origo won a Silver ADDY award for the Responsive Web Design Category, recognizing our work for http://www.the95percent.org. Through a partnership with three impactful organizations (Ohio Dept. of Mental Health & Addiction Services, Ohio for Responsible Gambling, and the Ohio Lottery Commission), Origo developed the “Be the 95%” campaign and website to drive families, professionals, and other state groups to resources available to educate and assist with problem gambling prevention and treatment. Take a quiz, gauging their gambling behaviors and direct them to important resources. Access helpful resources, videos, and tips to promote responsible gambling behaviors and prevent risky ones. Promote helpline information and other resources to prevent/treat problem gambling. Origo is proud to have been part of such an important initiative, promoting positive behavioral change throughout Ohio. This award was a testament to the passion and influence of our partner organizations.